I made this for a shindig I was having at my house! Lasagna is truly a great dish to bring to a pot luck or have at a small gathering. No need for sides as long as you pack the lasagna with delicious, hearty, healthy fillings. Of course you wouldn’t find meat in my lasagna these days so I had to load up on Fresh seafood from my local seafood market. This recipe was quick and easy and taste awesome! 1. In a large skillet, saute onion in oil and 2 tablespoons butter until tender. Stir in broth and clam juice; bring to a boil. 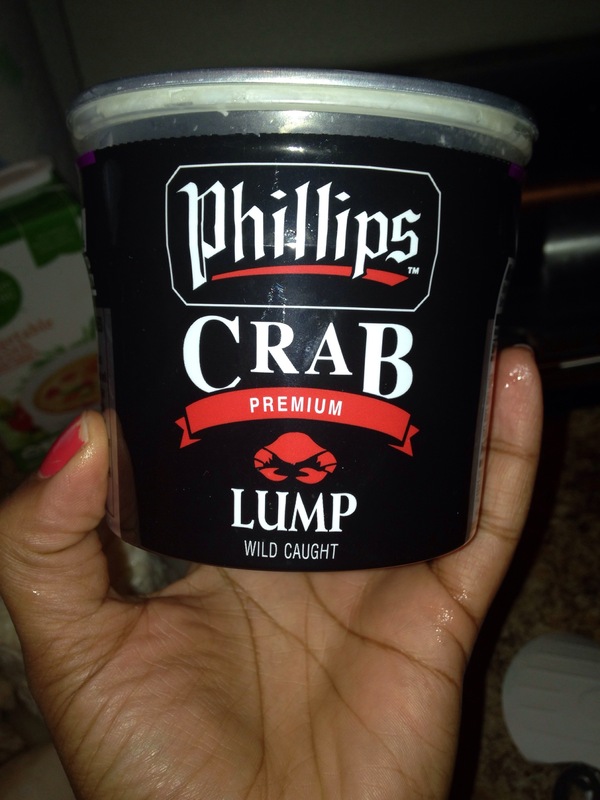 Add scallops, shrimp, crab and 1/8 teaspoon pepper; return to a boil. Reduce heat; simmer, uncovered, for 4-5 minutes or until shrimp turn pink and scallops are firm and opaque, stirring gently. Drain, reserving cooking liquid; set seafood mixture aside. 2. In a large saucepan, melt the remaining butter; stir in flour until smooth. Combine milk and reserved cooking liquid; gradually add to the saucepan. Add salt and remaining pepper. Bring to a boil; cook and stir for 2 minutes or until thickened. Remove from the heat; stir in cream and 1/4 cup cheese. Stir 3/4 cup white sauce into the seafood mixture. 3. Preheat oven to 350°. Spread 1/2 cup white sauce in a greased 13×9-in. baking dish. 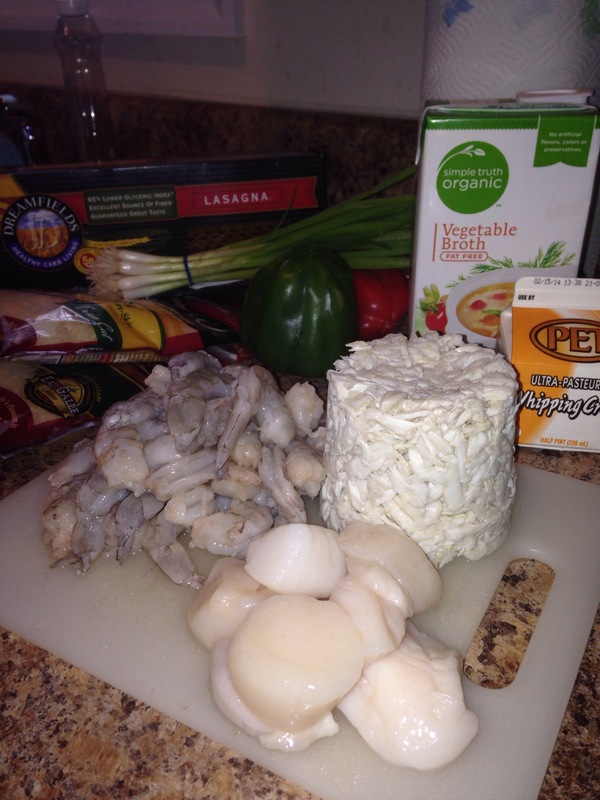 Top with three noodles; spread with half of the seafood mixture and 1-1/4 cups sauce. Repeat layers. 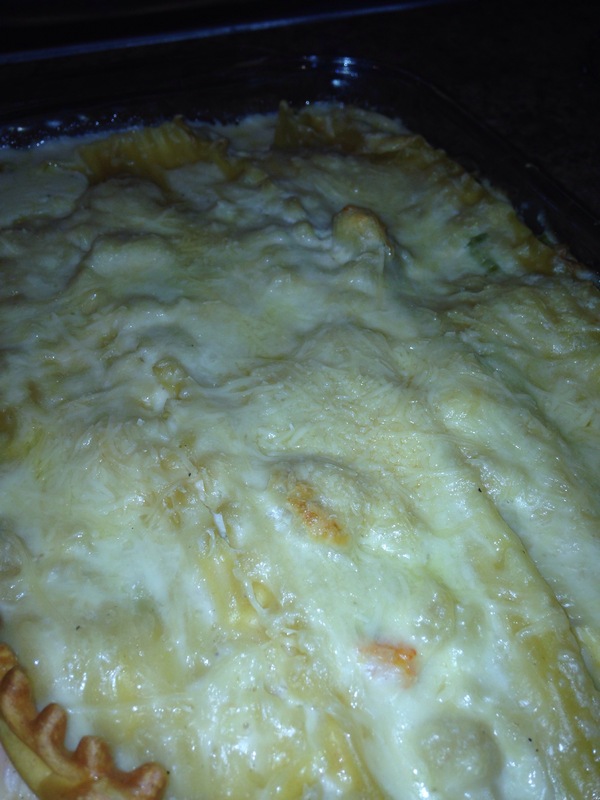 Top with remaining noodles, sauce and cheese. 4. Bake, uncovered, at for 35-40 minutes or until golden brown. Let stand for 15 minutes before cutting. Yield: 12 servings.